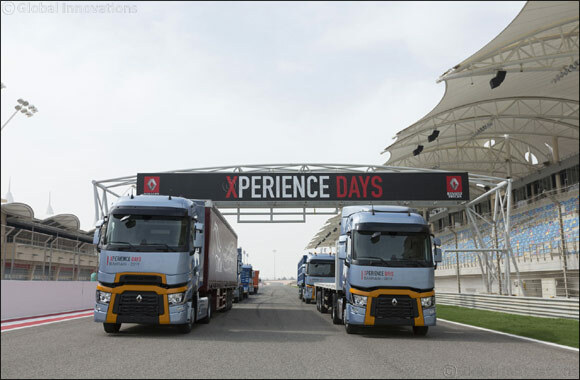 Dubai, UAE, April 16, 2019: The Renault Trucks Xperience Days 2019, which took place in Bahrain on 8th to 12th April, brought together an international audience of 450 participants from the truck industry in a unique experience which was been split into four key ‘adventures’. The first section involved a truly memorable test drive experience in the latest models in Renault Trucks’ long-haul range, including the T series, as well as the construction ranges - the K and C series. The second and third sections consisted of workshops about Renault Trucks’ transport solutions, addressing the topics of safety, fuel efficiency, after sales and financial services. Interactive discussions with Renault Trucks team of experts and guests examined smart transportation solutions - increasing profitability for customers by optimising total cost of ownership - allowing Renault Trucks and customers to share opinions and expertise simultaneously.